Canadians breathed a sigh of relief last Thursday when the federal government opposed the Canadian Radio-television Telecommunications Commission’s plan to implement usage-based billing on Internet providers. If imposed, UBB would see an increase in Internet fees and weaken competitiveness between independent and larger Internet providers. While some rejoiced by streaming online, others took to the street to voice their concerns about an issue that Canadians haven’t heard the end of quite yet. 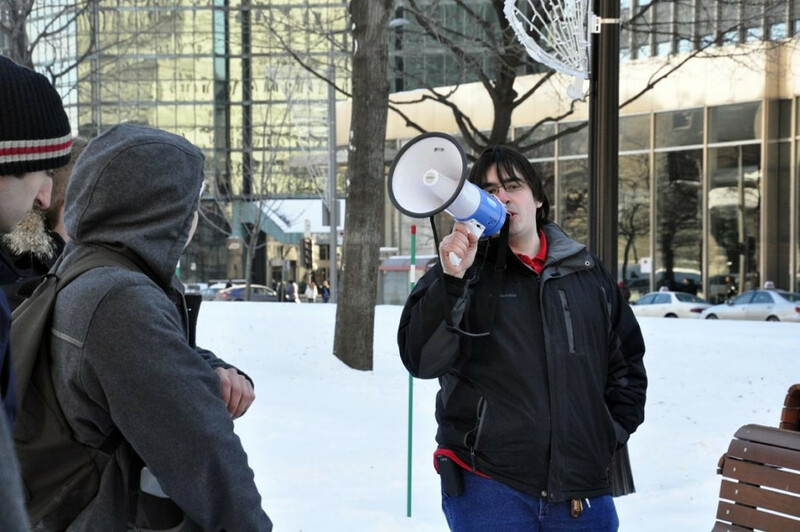 A group of about 40 people gathered in Dorchester Square on Saturday to speak out against UBB. The turn out was underwhelming to some that attended. Although masses of people didn’t attend Saturday’s protest, the Internet saw a cyber uproar regarding the ruling. So far, 416,200 Canadians have signed an online petition opposing the CRTC’s plan. About 550,000 people use independent Internet service providers in Canada and will be directly affected by the ruling if implemented. The bandwidth available in Canada is unlimited as well, according to Andrew Moore, organizer of Saturday’s rally. Moore said that regardless of the government’s decision to speak out against UBB, this issue is far from over. Konrad von Finckenstein, chairman of the CRTC, released a statement last Thursday that reaffirmed the organization’s intent to impose UBB. Moore said it was important people attended Saturday’s rally to send a clear message to Canadian telecoms and regulators. “Essentially, particularly for the younger generation, the Internet has become an incredibly important tool for communication, education, for business enterprises, but most and foremost it has been extremely important to open up the borders of all the nations of the world,” Moore said. Many people, including Moore and Smith, are not only concerned with the personal implications for putting a cap on the Internet; they are worried about the possible outcome for smaller Internet providers. If UBB is implemented in Canada, consumers will have little to no choice when looking for an Internet service package. Moore said that Quebecers should be aware of the existence of cheaper alternatives to Bell and Videotron. 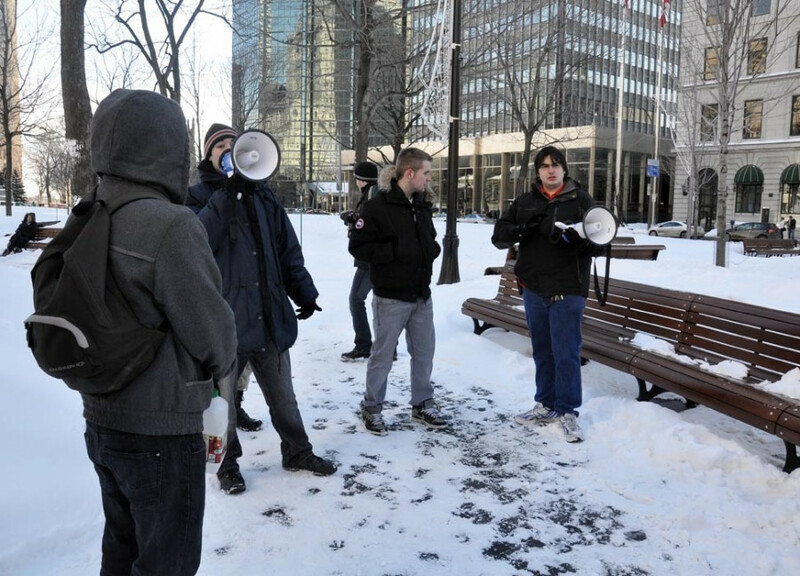 Similar demonstrations took place in major Canadian cities over the weekend.